You are currently browsing the tag archive for the ‘Thankful’ tag. Much comfort, makes us forget our purpose, and distracts us from remembering Allah. Often the test we often fail in, is the test of ease. The comfort that makes us forget Allah, is a punishment, even if we experience happiness. True happiness and contentment can only be found by being close to Allah and in full submission to Him. To keep our nafs from getting out of control, it needs some kind of difficulty or trial. If we can, sometimes use the car, other times, walk or take public transport. 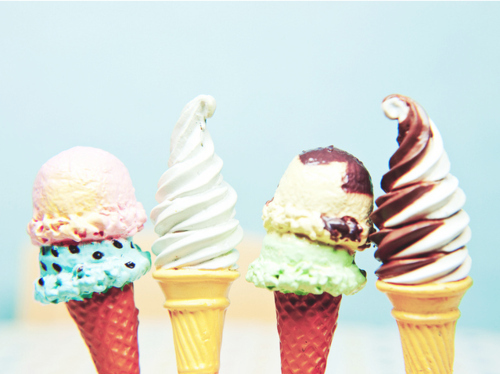 If we can, sometimes have a grand dinner, other times, eat food that is hard/burned/broken. If we can, sometimes use really nice clothes, but mostly use ordinary clothes. If we can, sometimes sleep on the bed, but once in a while sit or sleep on the floor, without cushions. If we don’t keep our nafs in control at the time of immense joy or comfort, we might not be able to keep our feets connected to the ground. Our blessings are not given to us because we deserve them, but because of Allah’s MercifulNess. Mainly they are given, to try us, because Allah wants us to be grateful for the favours He gives us. When we are grateful for blessings, He increases them. Allah dislikes us becoming arrogant or ungrateful. Being humble and filled with humility, when given an blessing, is the sunnah way of thankfulness. May Allah preserve us and help us always love and follow the sunnah of our beloved Prophet Muhammad (may Allah’s peace and blessings be upon him). May Allah cultivate in us the best qualities of the best muslims of all time. And make us of those people He loves the most. May Allah guide us to love each other for His sake. And become each others righteous friends for eternity, where we will be re-united beneath His Throne on the Day of Judgement, and in Firdous. Allah accept our supplication. Allahumma Aameen. Often when something happen to someone you expect a certain reaction to what to what they will say or do. When you give a gift, you expect a positive reaction. When something unexpected happens, since we didn`t know it to happen, we are not aware of what kind of reaction it will create. For those whom have younger siblings or children in their family. If and when they fall and get hurt, their parents reaction can be quite different from what is expected. For instance they can be yelled at or even shaken by their elders; “What were you thinking, crossing the road without looking at both sides”. The reaction of their parents, may seem a bit hard, but actually displays that they care. The reason why they burst out in rage, was because they were afraid of you getting hurt. The parents got scared and because of that feeling of being afraid of loosing you, they yelled at you. Instead of thinking that they are to strict, be thankful that they doesn`t want you to hurt yourself, or see you hurt. Those whom have lost someone in their family knows the value of having somene who cares for you. Someone whom make sure that you`ve had you meal on time, prayed you salat, come home in time, and that you wear clothes according to the weather, are not up to late and that you take care of yourself when you are ill and that you get a good dose of hugs. The ironic thing is that we value people more when they aren`t there than when they are. For years we think that our parents, or elder siblings are really giving us a hard time. But when they are somewhat away, we realize they are the one that has our back, when we fall or something negative happens. The ones that stick with you, when everyone else is out the door, no matter if they are friends or family, those people are the one that truly care. Those that help you not because of what you have, but because they love you no matter what you have or are, unconditionally caring people, are hard to find. Make sure that you appreciate them when you realize who they are, because they are your true treasure. Without appreciating what people have done for us, and being thankful, we are not appreciating what Allah has done for us. Because when people help us, it is directly sent from Allah. He sends people as blessings and inspire them to help us, in some way. For example there was a person that was drowning in an ocean. He cried out, “Allah help me”, when there came a boat from nearby and helped him. He was thankful for being saved. In reality the help was sent from Allah. Allah`s help and love is sent us through people whom help us and mould us in the people we become. So when we are not thankful for those whom have helped us, we can clearly see that we are not thanking Allah. Is There Any Big Problem? Imagine your own birth, and your mother giving you away to an orphanage, were you are brought up, without siblings and the security of parents and family. You are only given the basics of education to cope with life and are sent out in the world to save yourself. Now imagine the reality of your life. You were born, with parents, and grew up with siblings and secure home with good education, and your basic need were fulfilled by your family. You grew up to be the young man/woman and your parents found a match and married you to a spouse that became your world. Now you have a job, a spouse, children and friends with a succesful prosperous life ahead of you. Is there any big problem? Most of us might say no, alhamdolillah we are blessed. But are you grateful? Are you thankful of Allah? Are you taking care of your parents, now that they need you like you needed them when you were borned. 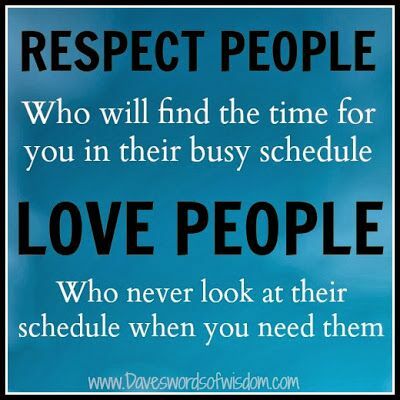 Time changes and I have seen more of people neglecting their parents need when they get their own families. Mostly sons. They forget the fact that wouldn`t it be for their parents sacrificing their life from the time they were born, they wouldn`t be where they are today? How can they now, when their parents are old, and in need of care, forget their efforts? In fact, when they aren`t thankful to their parents, they are being ungrateful to Allah as well. Hadrat Jibrael as said that those whom have old parents and doesn`t earn Paradise because of that, will not earn Allah`s mercy, and Prophet Muhammad pbuh said aameen to that dua. We are told to be good to parents and treat them well, and remember their favours on our life. Still there are so many married children, that get so occupied in their life, that they forget it, or neglect it. Sometimes I wonder how their children will be with them, when they come in the same age. We can see that times are changing. Not only in western countries but now also in some muslim countries we have seen homes for the elderly, where their children leave them their, and mostly doesn`t contact them again. How Can We Return The Favour? When I see old Norwegians going somewhere alone, without any children or grandchildren, my heart cries in sorrow for them. This is a universal value, to be good do parents, no matter religion or ethnicity. If we are not demonstrating good treatment toward or elderly than the next generation will learn that from us, and we will see the fruit of our work. May Allah wake us before it is too late. Parents are a gift, that no matter how much time you spend with them, once they are away, one always feel that the time we spent with them wasn`t enough. May Allah reward our parents with good in this world and the next and may Allah give them infinite deeds multiplied with infinity for every difficulty they have gone through because of us or anyone else, and may Allah help us to take care of them as much as they deserve, and help us repay all their favour upon us and make us a sadqa jariryah for them. Aameen summa aameen. We are nothing without Allah. He is the One that has made us and given us life. If it wouldn`t have been His will we wouldn`t have been in this world. He is the one that gives us everything in this universe. Even if we would try to thank Him, the thankfulness would not be as great as what He is Worthy of. We do good deeds because He has ordered us to do them, and that is a good thing. Though shaitan try to put vasvasa in our heads. If we are sinners, shaitan stops us from repenting, if we repent and become good people and do good deeds, shaitan puts vasvasa in our mind that, if we don`t recognize the trap, we become arrogant. In order to protect ourself from shaitan we must understand these traps and fight them with all we have got. It is not because there is any good in us that we are doing anything good, it is because Allah has guided us to do it. 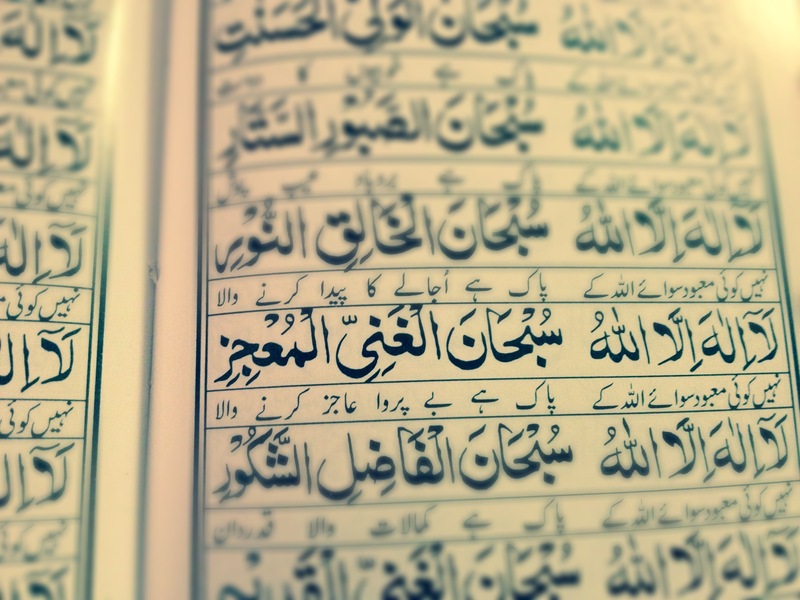 If it wouldn`t have been for His Mercy and Guidance, we would have been lost. Prophet Muhammad (pbuh) has said: If we have an atom of arrogance in our hearts we would not be allowed to go to jannah /Paradise. So people asked that one likes that her/his dress is beautiful and her/his shoes are beautiful. So the Prophet (pbuh) said: “Verily Allah is the Most Beautiful, and He loves beauty. Pride is to completely disregard the truth, and to scorn (look down on) the people. (Sahih, Muslim). How do we ignore the truth? When we know that it is like this or that and don`t follow it, that is arrogance. Like mostly people know that in Islam it is made obligatory to pray the 5 prayers. Though there are less than half of the muslim or even fewer that actually pray the 5 prayers. We would say this about all the other regulations in Islam as well. Most of us have become part-time-muslims. That is not always because of ignorance. So if we believe, that we are muslims, we need to become Allah`s slave, because that is the true meaning of Islam to submit to His Laws. Another thing written in this hadith is don`t look down on other people. Subhan Allah that is so common these days. If people themselves are doing good deeds, they would often look down on other people who are maybe sinning. Though they do not know the state of the heart of that person like Allah does, though they become a judge like Him and think they know everything. I read a quote one time that said, don`t look down at others just because they sin different from you. Allah could forgive them for sinning, but maybe not forgive you for your arrogance. Also we do not know the state we will die in. The Prophet (pbuh) has said, that there will come a time when a person that is a good muslim, will become evil and die in that state, and that a person that was evil, will become good and die and that state. So we are not able to judge anyone at all. Me must always pray and ask Allah that we die as muslims, but for that to happen, we must also live as muslims. What makes us arrogant is when we think that we have accomplished is because we deserve it or that we have worked hard for it. Though we might have worked some for it, but it is because of Allah’s Rahma over us that we have been gifted in any way. Not because of our deeds or our conduct. Allah test us by giving us gifts and by taking away gifts. 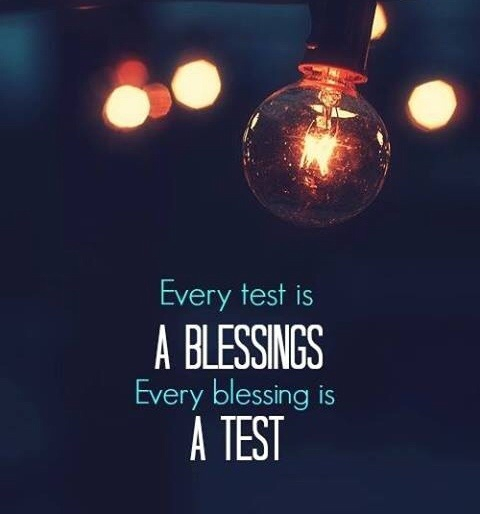 We need to show thankfulness/gratefulness when we are blessed and patience when we are tested. Only then we will prosper. 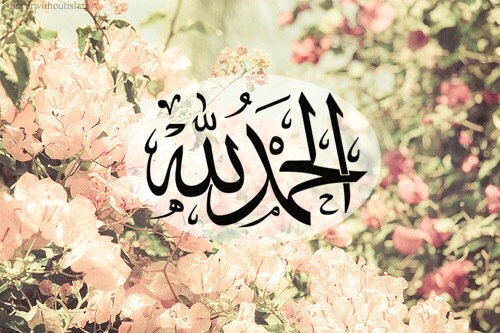 Allah may have given us a gift, but He can also take it away, if we don`t show appreciaton for it to Him. We need to ask Allah to guide us all the time and always keep us humble. A supplication one can make is : “Laa Ilaaha Illallah, Subhanall-Ghaniyall-Moa3jzi”. It`s interpretation is “There is not God but Allah, He is Perfect, and the one who makes us humble”. (See picture for arabic spelling). The Prophet (pbuh) has said: no one humbles himself for Allah but Allah raises him. (Sahih, Tirmidhi). What do you think will be the outcome of the one Allah raises. Subhan Allah 🙂 May Allah have mercy on us and guide us and keep us steadfast on His religion and make us His pious slaves. Ameen summa ameen. We all have our moments of worries in this world. There is always anticipation for something good to come in our life. It could be getting a better grade at school, getting a job, getting married, wanting children, good health etc. We are always waiting for something to come to us, which could lead to worries, pain and suffering if things don`t go the way we want them to. I have noticed one thing. When I`m thankful/grateful I have better control over what is happening in my life. My kusho in salah is better and I feel more confident at whatever life is giving me. That is one way of achieving peace of mind. When we meet other people be it friends or family acquaintances or colleague’s we get to know their different lives and learn from it. If we aren`t that confident, looking at someone who has more than us, that makes us feel less fortunate. Though it should not be like that. We should always be thankful for what we have. When we see others that have more than us, we should also remember those that has less than us also. Than we will feel real gratefulness and ihsan in all our matters. Because gratefulness leads to recognizing where it is all coming from; Our Creator. We are in need of whatever good that he bestows on us. All the time. We are so blessed that it`s so sad that we still at times lose our confidence. At those times the small gestures that comes from our surroundings make us believe in ourselves and keeps us focused on what is right. I am so thankful for each and every that has made an impact on my life that has led me to the one I am right now. I could not thank each and every enough. If it wouldn`t have been for you people I wouldn`t have been where I am today. I also want to thank every person that has been mean to me some way or the other. Because it was because of my reaction to that suffering that has given me push to become what I am today. If it wouldn`t be for you people I wouldn`t have been wiser in understanding the human kind. And last but not least I would say that may Allah shower the best of his blessings of each and every muslim in this world. May Allah give them the best in both worlds, keep us steadfast on the deen, keep guiding us and keep us firm and give us patience to help each and every that is not as blessed as ourselves and reach out to the people who is suffering in any way. Ameen summa ameen. People who are content with what they have, are the richest of people. Subhan Allah! What a wonderful quote from our beloved Prophet (pbuh). Surely that is just how it is. People whom despite not having everything in their life, are content of the decree of Allah, are truly those people whom have experienced true happiness and contentment. Think for a moment. Why are does those children playing in the slums of Africa or Asia look happier than children playing in Europe, despite they having all kinds of playgrounds and toys here. 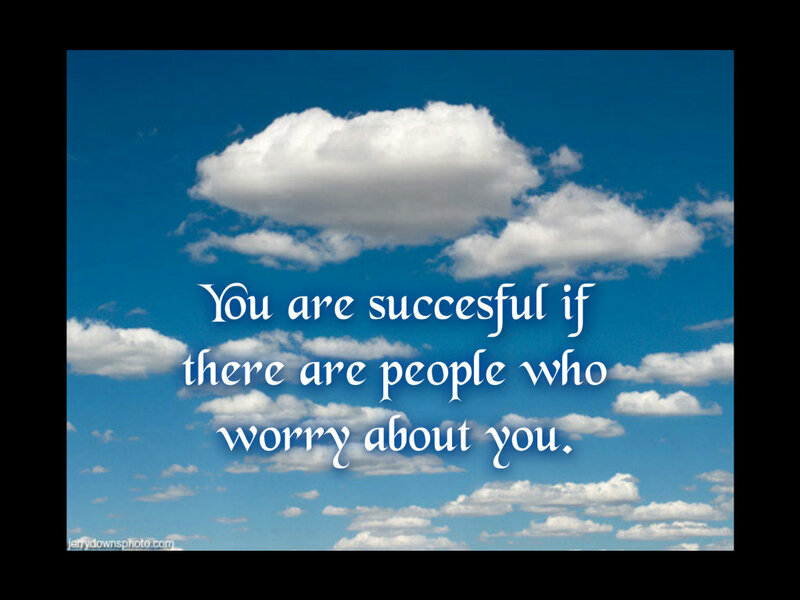 Maybe because they are content with the decree of Allah, and are not as distracted by everything around them like we. Living in Norway I see sometimes that children have all kinds of distracting things with them. Almost all the time. Internet, games, Facebook, iPhone, Ipod, Ipad, Tv etc. These things are nice time-killers, but they also steal the time away from children, and even the adults. Giving us less time for relationships. We are getting distracted by all sorts of things that doesn`t even allow us to give our devoted attention to people around us. Our Prophet (pbuh) has said in a hadith, look at those beneath you, instead of looking at those above you. That would make you happier and more content with what you have. If we always compare each other with those that have more than us, we would be living a race that never achieves it`s goal. Because as the world is developing likely are people buying and getting more things in their luxury life. The world is not going to stop to develop nor are the people going to stop buying new things. So what should we do than? Whenever we are dazzled by something, we should always look at those that are less fortunate than us. That would lead us to become more thankful for those blessings we have in our lives, give us true contentment and voila we will feel grateful. Do you know what`s so great about feeling grateful? Allah says in the Quran that we should be thankful for the blessings he has showered upon us. And not be arrogant. We are arrogant when we don`t realize that we are truly blessed. We are arrogant when we aren`t thankful to Allah. Allah says that be grateful and I will give you more. Just think where that will lead us if we try to apply that to our lives? An important fact to remember is that when you see that someone is blessed with something, the same thing could be a means of trials and tribulations for the person that you are thinking about. For instance you see, children and money are seen as a blessing. Though Allah has said in the Quran that money and children are all means of trials. He will send us trials through these blessings to see who of us are better in deed. So every blessing has it`s backside. You might not see it, but reality is that it still is there. So what to do then? When we see someone may be perhaps more blessed than us. Remember he/she might have experienced a great deal of difficulties before Allah sent those people an ease. He is probably worthy of that blessing. We can`t see the hikmah, the knowledge that Allah has about the circumstance. Only Allah knows that. What we can do is to think that with every blessing there is always a backside. So be grateful for what you have. Truly Allah knows who he blesses. And All of us are blessed with some kind of blessing, either we recognize it or not. Lets be those true submissive and grateful slaves of Allah that can see all the blessings in their life, in sha Allah. Let`s start our day with saying Alhamdolillah. Allah gives us another day each time we wake up in the morning to do something for our religion. Lets try to make a difference. In sha Allah ameen. To conclude i would say, count your own blessings, instead of counting others`. And be happy with what you have by looking at those less fortunate than you. Alway know that with any blessing there is always a backside that we might not know about. Know that Allah is trying us by giving us blessings, to see who of us are best in deed. Be content with what you have and Allah will shower you with more of His blessings, in sha Allah. Ameen. Ya Allah make us your pious worshippers and keep us steadfast on the deen, give us sabr to face the challenges in our lives, and give us true guidance to follow everything you have commanded us to follow, ameen summa ameen.